When assigned to outpatient care, Letasha frequently wandered away from home. Mims would have preferred to care for her there, but the need to work to support them both made that a practical impossibility. Finally, Mims decided that Letasha needed to be in a nursing home, where her condition could be monitored and Letasha would be safe. That proved problematic. In the 11 years before her death in August 2014, Letasha Mims lived at six different nursing homes. Each move had been made necessary by Mims’ fear that her daughter’s safety was in jeopardy. As a registered nurse, Mims believed that at times her daughter was being overmedicated with sedatives and antipsychotic drugs; at others, Letasha had bouts with a highly contagious skin disease known as scabies. But Mims says she worried most about the potential for sexual assault because Letasha was placed in locked units, often with men diagnosed with mental illness and side effects of drug abuse. Many nursing homes often refuse to admit young women precisely because of the high risk of sexual assault. And in places that do, supervision is often scant. In February 2014, Mims was visiting Letasha after work when she realized that her daughter was running a seriously high fever. “I bent down to kiss her, and the heat was just coming off her,” says Mims. When Mims asked that Letasha be properly hospitalized for what appeared to be a life-threatening fever, the staff balked. “I had to insist that Letasha be sent to the hospital for evaluation because her fever was 104, in spite of having had a couple of rounds of antibiotics,” Mims says. It was not the end of it for Mims. She has filed a wrongful death lawsuit against Alden Wentworth. As a nurse and a former colleague, Mims says she had hoped for better treatment for her daughter. But Letasha’s last days at Alden Wentworth were spent in what Mims remembers as a cesspool of systemic negligence: days marked by urine-soaked linens, feces-laden toileting pads, aggravated bedsores, malnourishment and gangrene. The lack of regulatory response was even more galling to Mims. Illinois state regulators investigated the circumstances of Letasha’s death and found no wrongdoing at Alden Wentworth. As in many states, nursing home regulation in Illinois has become what some describe as toothless and sporadic. And a brief history of state intervention at Alden Wentworth before and after Letasha’s death suggests a curiously comfortable relationship between regulators and the regulated. In 2010, the facility had been cited by the state for negligence involving the sexual assault of a female resident. Surveyors noted that the male accused in the incident had been allowed access to particularly vulnerable female residents—those with Alzheimer’s and dementia—before he had been evaluated for such a potential risk. Likewise, in 2010, a 41-year-old patient with a history of substance abuse had died of an overdose from a Fentanyl patch. Three weeks before his death the Alden Wentworth staff had dispensed to him both the Fentanyl patch and Vicodin, despite a hospital discharge instructing that he not receive narcotics. And in 2008, the home was cited for ignoring foot blisters on a 58-year-old paraplegic with Type 2 diabetes. By going untreated, the blisters became wounds deep enough to make visible the muscles in her feet. Even had there been a finding in Letasha’s case, the actual outcome of the penalties associated with those earlier violations at Alden Wentworth suggests that any regulatory response would have been minimal. For the overdose death the facility was assessed $5,000. For failure to treat the diabetic, a $10,000 fine was reduced to $2,000. And for the negligence that led to the sexual assault, Alden Wentworth was assessed no fine at all. This kind of significant fine reduction is a standard practice within the tangle of interdependent state and federal agencies that oversee nursing home regulation. In fact, it’s a regulatory system structured around administrative fines—fines that are reduced so routinely that they have become widely considered a cost of doing business rather than an incentive to provide quality care. From 2014 through March 2016, the nation’s nursing homes had been fined $121 million for deficiencies, according to federal regulators. In addition, nursing homes that fail to correct deficiencies are at risk of losing Medicare or Medicaid payments for new residents until the corrections occur. But on closer look, the fines are discounted, often automatically, as a matter of policy. Under federal law, nursing homes can waive their right to appeal fines and get an automatic 35 percent reduction. Between 2008 and 2012, Alden Wentworth was fined a total of $75,000, fines later reduced to $27,500. Between 2005 and 2014, the 27 homes in its parent company, Alden Management Services, were fined $976,675, later reduced by 65 percent to $342,245. A similar pattern exists statewide. The ABA Journal analyzed Illinois deficiency reports, which show that the state assessed $7.17 million in fines for 934 deficiency findings from 2010 to 2014—the most recent full year for which data was available. Those fines were ultimately reduced by an average of 42 percent to $4.17 million. In Illinois, nursing homes can challenge deficiency findings through informal dispute resolution or administrative evidence hearings. Most deficiency disputes settle before reaching an administrative hearing, according to the Illinois Department of Public Health, and it seems that the nursing home operators take full advantage. For instance, 43 percent of the fines were reduced automatically when the homes cited waived their right to appeal the findings. Another 39 percent of the homes had fines reduced after administrative hearings. In other words, 82 percent of fines levied by Illinois regulators were reduced as a matter of policy. Even when residents die in nursing homes, fines related to those cases are frequently and significantly reduced. Between 2004 and 2013, the Illinois Department of Public Health examined complaints related to 114 nursing home deaths. The state assessed a total of $3.6 million in fines from those cases. Yet that number was reduced to $1.6 million for final assessed fines. The average final fine amount for a death was just over $14,000. To complicate matters, nursing homes also can appeal findings in federal administrative evidence hearings. Those rulings can be appealed, as well, to the departmental appeals board. And if a party disputes a DAB finding, it can be appealed to the federal court system. Thus, there is every incentive to delay, appeal or even ignore regulatory action. “It can take five years or more to exhaust all of these steps, and at each step the fine might be reduced by settlement or an administrative law judge court decision,” says Joseph Bianculli, an Arlington, Virginia, lawyer who defends nursing homes in federal hearings. Taking care of people who need skilled nursing is a difficult job. Patients arrive with ailments such as dementia, immobility, blindness and respiratory problems, and are often in advanced stages of other diseases. Under these conditions, faltering health could give a false impression of substandard care. “If you have problems like diabetes—and you’re wheelchair-bound or bed-bound and you’re incontinent—it’s not a surprise to see that pressure sores develop,” says James E. Phelan, a Chicago lawyer who has defended various nursing homes, including Alden, in personal injury lawsuits. In Illinois, nursing homes receive $148.92 per day on average for each Medicaid resident. Home operators argue that amount makes it difficult to provide quality care and make enough money to stay in business. A plethora of laws at the state and federal levels make compliance a complicated and expensive process, and excessive fines would be counterproductive. “If you look at its legislative history, the sole purpose of [fines] imposed by the government was to provide an incentive for providers to come into compliance. It’s remedial, not punitive,” says Alan C. Horowitz, a former federal regulator who now represents skilled care facilities on regulatory issues for Atlanta’s Arnall Golden Gregory. “This isn’t about the nursing home; it’s about the residents. And if the nursing home is driven out of business or if funds used to pay civil money penalties are diverted from being used for … staff and/or equipment, the fines are not productive,” he says. But nursing homes are profitable—a significant segment of the senior housing market. Welltower, a real estate investment trust specializing in health care real estate, reported $884 million in net income last year and holds $29 billion in assets. Alden Management Services, a far more modest system owned by Floyd Schlossberg, reported $18.6 million net income in 2014. Michael Grice believes the sources of profit are personnel-driven. A quadriplegic with cerebral palsy, Grice spent two years in a Chicago nursing home he describes as chronically understaffed. Personnel often worked double shifts and call lights routinely went unanswered. Grice says he had to assert himself. “I was not going to tolerate not being changed and not being fed.” Grice, who now lives on his own, had to insist upon being turned every two hours to avoid pressure sores. But when he was lifted, he says, he was sometimes dropped—once resulting in a broken hip. The home he was in is Southpoint Nursing and Rehabilitation Center on the Far Southwest Side, whose owners of record are Michael Blisko and Moishe Gubin. Between 2007 and 2014, nursing homes owned by the pair were assessed $169,500 in fines on 15 separate deficiency reports. Those fines were reduced more than half, to $75,565. Blisko and Gubin’s homes reported net income of $5.2 million in the 2014 fiscal year. Fines, even in such a profitable environment, do not need to be punitive to be effective, says David Hoffman, a former federal prosecutor who handled health care fraud and abuse cases. Based in Philadelphia, he now does reg-ulatory compliance consulting with nursing homes. He says that if a client doesn’t want to comply with regulation, he will fire them. The enforcement of nursing home regulations is managed by the Centers for Medicare & Medicaid Services, an agency within the U.S. Department of Health and Human Services. But the CMS relies on state health departments to investigate facility complaints and conduct annual surveys, and then share their findings with the federal government. When inspectors find problems, they list them as “statements of deficiencies,” which come with fines for serious infractions. Deficiencies can include mistreatment of residents; failure to assist residents who need help with eating, drinking, grooming and personal hygiene; and failure to provide proper care to treat or prevent bedsores. Nursing homes must submit written plans of correction to the state for deficiencies cited, but these are not considered admissions of guilt. Nursing homes can challenge findings through state administrative evidence hearings or informal dispute resolution. Challenging a fine may be a strategic decision, says Bianculli, the former regulator. He once had a client who appealed a $400 fine, believing that a successful appeal would stop future civil litigation. The CMS makes the final determination for fines related to patients over 65 whose short-term stays are paid by Medicare. But states are responsible for determining fines related to patients whose stays are paid by Medicaid, the joint federal and state program that covers low-income individuals and pays for indefinite nursing home stays. Of the numerous changes to nursing home regulation set out under the Affordable Care Act of 2010, only a few involved actual enforcement. For instance, proposed new rules would allow binding pre-dispute arbitration agreements between facilities and residents, limiting litigation as an option for residents, a change opposed by the American Bar Association. In the ACA, nursing home regulation is focused on transparency issues—mainly ownership and management records—hoping to help consumers make informed decisions about their nursing home choices. A pre-existing ratings system, for instance, assigns ratings based on qualitative issues such as health inspections and staff, as well as overall quality of care. But some are skeptical. Staff, and issues with staff, are key to a wide range of complaints and deficiency reports. If nursing homes used some of their net earnings to hire more staff, goes the logic, they’d have fewer regulatory deficiencies. Viewed bluntly, as some do, a regulatory system based almost solely on fines becomes more negotiation than administration, a system that pits cost against patient care. Even the optics of an investigation suggest as much, says Grice, who complained to no avail when his hip was broken after nursing home staff dropped him. During the time Letasha was at Alden Wentworth, her mother spent most evenings with her. After a time Mims found herself feeding Letasha, who could no longer feed herself. Before leaving she’d give Letasha a sponge bath and dry her off. These were things the staff should have been doing, but did not. On weekends Mims brought home Letasha’s clothes to wash. On occasion, she says, her daughter’s clothes would disappear, and she might see other residents wearing the items. But she noticed that the clothing was frequently soaked with urine and feces. And when she complained about it, Alden Wentworth’s director of nursing ignored her concerns. One day while picking Letasha’s dirty clothes out of the hamper, Mims noticed rodent feces at the bottom of it mixed up with the bed linens. She again went to the director of nursing and began lining the clothes hamper with garbage bags, thinking that would keep the rodents at bay. Then came the bedsores. Mims was usually the first person to notice them; because of her nursing experience, she knew that wounds would develop if her daughter was repositioned too infrequently. Under Illinois law, residents who need skilled care are required to get 3.8 hours of nursing and personal care daily. Mims saw no evidence that Letasha was getting even the minimum. She thought a show of generosity might influence the staff to give her daughter better care. She brought them dinner on Thanksgiving, bought lotions and gels for them at Christmas and handed out boxes of candy on Valentine’s Day. “That didn’t change a thing,” Mims says. Calling attention to Letasha’s care problems didn’t help either. She frequently complained about Letasha being overmedicated, her bedsores and weight, which according to Mims dropped from 160 pounds to 107 during the Alden Wentworth stay. And as Letasha withered, Mims says, the staff seemed almost defiant. Mims began taking pictures of the wound that developed from Letasha’s unattended bedsore. The photos begin with what looks like a scrape, then progress to a gaping wound that exposes her sacrum. When she developed an infection, the staff tried unsuccessfully to treat it with intravenous antibiotics. When the staff balked at removing Letasha to a hospital with a 104-degree fever, Mims decided it was a matter of money. “It’s an unwritten rule that you don’t send out residents. If the staff doctor gives the residents antibiotics and fluids, then the nursing home still gets to keep the Medicaid payments.” Mims insisted Letasha be moved. She died six months later in hospice care. In 2014, Mims filed a wrongful death suit in Cook County against Alden Wentworth, one of 11 lawsuits filed against the facility in the past two years (see “Lawsuits Fail to Bring Improvements to Nursing Homes”). Omar J. Fayez, a Chicago lawyer who represents Alden Wentworth in the Mims suit, says his client has a policy of not discussing specifics in ongoing litigation. He told theJournal that his client “vehemently denies” any allegations of wrongdoing by Mims and her attorneys. Mims has since left the nursing home industry, where she worked for 10 years. She now manages quality control for a program that provides health services to Medicaid recipients. Jeff Kelly Lowenstein contributed research and editing to this story. He’s an investigative journalist who has worked on stories about nursing homes since 2004, and his previous coverage helped spark state and federal reform; in 2015 his work earned recognition from the National Press Club. The ABA Journal filed a Freedom of Information Act request with the Illinois Department of Public Health to receive data on nursing home fines from 2010 to 2014, the most recent full year for which data was available. The request asked for, and the agency provided, information about the amounts and dates of the initial and final fines, as well as whether the facility decided to appeal the fine. The Journal used that information to calculate the percentage of fines that were appealed, the average time the IDPH took to arrive at a final fine and the amount by which the original fines were reduced. For the analysis involving fines and deaths, the Journal looked at quarterly reports posted between 2004 and 2013 on the IDPH website for all incidents where any facility in the state was fined at least $20,000. The Journal used the docket or incident number from the FOIA request and the website to confirm that they were the same. No investor-owned for-profit nursing homes! From Ken Ditkowsky–Fines why are we taxing hospitals when most are NFP’s–a bunch of BS govt accounting. NEW YEAR’S GREETINGS – – The Candor gap! One of the problems with fraud is that it is a cancer and all too often the adage – “you cannot defraud an honest man” comes into play. Health care’s 700% fraud surcharge could not happen if the various governments were themselves HONEST. The Illinois political elite whose criminal activities are such an embarrassment have a great deal of company. Decent people everywhere are appalled when a major political figure goes on television and has the temerity to tell multiple whoopers that he knows are absolutely untrue. These same members of the great unwashed get even more upset when the media repeats the prevarication as the truth over and over again and when someone speaks out in frustration: “stop lying!” the protester is labeled *****. Providers pay the state. The state pays providers, then collects matching funds from Uncle Sam. When Connecticut faced a budget shortfall of $2.2 billion, or 11%, this year, it helped close the gap by almost doubling its tax on hospitals, to $900 million. Taxing hospitals sounds strange, especially since most are nonprofits. It also would seem to increase their costs and, thus, the cost of care—much of which, thanks to Medicaid, is borne by the state that levies the tax. Yet 42 states tax hospitals. Why? One answer is the perverse incentives built into the Medicaid law. When a state returns tax money to hospitals through Medicaid “supplemental payments,” it qualifies for matching funds from Washington. 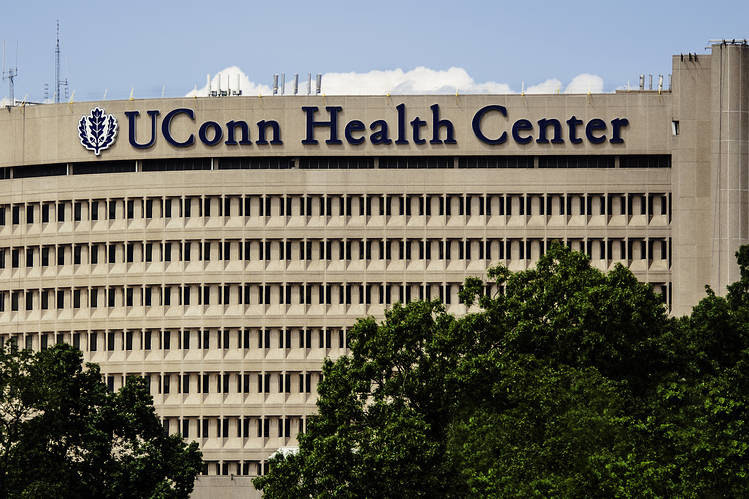 Connecticut hospitals will pay $900 million in taxes, but the state will offset that with $600 million in supplemental Medicaid payments—matched with $450 million of federal funds. The state keeps those matching funds, plus the $300 million from the hospital tax, meaning Hartford comes out ahead in the whole scheme by $750 million. Nice work if you can get it. Medicaid supplemental payments, as the term implies, are separate and distinct from the reimbursements that cover the actual cost of services rendered to beneficiaries. But the federal government turns a blind eye to the circular nature of the arrangement: Hospitals and other providers are both the source and the recipient of most of the funds. The Centers for Medicare and Medicaid Services simply sees the supplemental payments to providers and matches them roughly in line with each state’s federal medical assistance percentage, or FMAP—the same rate used to reimburse actual medical costs. Each state’s FMAP is calculated based on how its personal income compares with the national average. Apart from the expansion of Medicaid under ObamaCare, FMAPs range from 50% in wealthy states to about 67% in the poorest states. Medicaid’s model of shared federal-state responsibility is supposed to be based broadly upon FMAPs. But supplemental-payment schemes undermine that and “have the effect of shifting costs to the federal government,” according to a 2014 study by the Governmental Accountability Office. The more a state taxes its hospitals and then gives them money back, the more federal funds it can obtain. No wonder taxes on medical providers have both risen and widened as the Medicaid program has grown costlier. The hospital tax is the biggest revenue-raiser, but 44 states also tax nursing homes, and 34 tax at least one other type of health-care provider. The GAO study found that these taxes had almost doubled nationally, from about $9.5 billion in 2008 to $18.5 billion in 2012, as new states like Connecticut jumped into the game, while others, such as Missouri, played more intensely. The Show Me State increased its provider taxes by one-third between 2008 and 2012, from about $1.5 billion to $2 billion. In the past five years even more states have jumped in and FMAPs have risen under the ObamaCare expansion of Medicaid. The only real federal limit on this gaming of the system is a rule setting maximum health-care provider taxation at 6% of the tax base—in the case of hospitals, “net patient revenue.” But that limit isn’t really a limit; it’s a threshold below which states enjoy a safe harbor from federal action. States can submit, and CMS can approve, plans that exceed the threshold. And according to Connecticut officials, the state is blasting through the threshold with a tax of about 12% on hospital outpatient revenue while simultaneously maxing out at 6% on the inpatient side. Given the executive branch’s laxity, Congress should increase its oversight. The hospital-tax scheme increases the federal share in the Medicaid partnership in a convoluted, opaque, bureaucratically time-consuming and arguably unintended manner. It is inherently inefficient and costly. It distorts the operation and the perception of the health-care system. This is bad governance that legislators shouldn’t countenance. Some proposals in Congress would reduce the 6% limit. Lawmakers should adopt the lowest proposal, 3%, and instruct CMS to enforce it strictly, not treat it as safe harbor. Otherwise, if Congress wants to raise the federal share of Medicaid funding, it should do so with a straightforward across-the-board increase in FMAPs. If Congress determines that some states need financial assistance, it should devise a separate program expressly for that purpose. But state schemes that take advantage of Medicaid to gain general financial assistance are a perversion of government that ought to stop. From FB: News story shows shocking level of corruption in our nation’s court systems. Two children taken from mom for no reason. This poor mom lost her kids for 2 months and did nothing wrong. The judge and DCFS worker(s) need to be fired. Immediately. NASHVILLE, Tenn. (WZTV) — It is pretty hard to believe that serial killers have more rights than parents in Tennessee, but once you enter the Juvenile Justice System, anything can happen. My mother gave permission to post her involuntary stealth euthanasia at Houston Hospice room 315, Houston, Texas, 77030 by starvation and opiates and other sedative toxic drugs. Christmas week 2017. And Hannukuh blessings and all the other winter time holidays too! My heart goes out to those of you who cannot see their loved ones this Christmas season because there is a court order, or a GAL order or some sort of other nonsense. The holidays are for families, but for the families of Mary Sykes, Alice Gore, Rose Drabik, Lydia Tyler, Alan Frake and so many, many more, they were a horror show. For years, many in probate are not even allowed to know where their loved ones are. Helen Stone in Florida most assuredly will not see her daughter for Hannukah. Please pray for them. Please pray that the psychopaths in charge, the judges, the lawyers and court room vendors lose their hearts of stone for a heart of flesh and blood. Too many to mention are suffering through the holidays. Give them your kind thoughts and blessings. Nursing homes are nothing but slums and ghettos for the elderly. We have to do better by them. Many younger disabled persons suffer greatly in these place too. And they have done nothing wrong, but the conditions are far worse than a jail or prison, because for many of them, death is the only way out. Please pray for a world of peace and love, joy and understanding, and most of all, compassion.